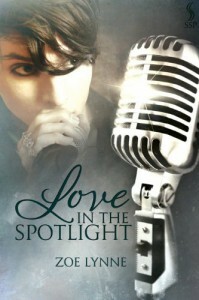 Love in the Spotlight is a sweet, touching and heart warming coming out story. Thorne is a shy lead singer in a band, who is hiding who he is from his best friend and band members until he meets Steven. When the description of the story said that if has m/m and m/f romance situations it does not mean sexual situations.